An LBT Christmas Sunday morning is always exciting, but this year was extra special for us because the entire Gray family was here for the Holidays. We had our annual Christmas gathering at the house on Friday night. Then we were all able to attend the Christmas service at LBT on Sunday. 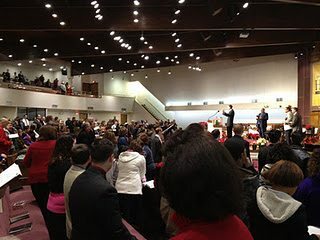 The building was full, the preaching great, and the spirit superb. It was especially exciting to have Scott and his family home for Christmas. He is a great preacher of the Gospel and has a wonderful family. I cannot begin to tell you how proud of our children and grandchildren we are. To see them win souls and be faithful to each other and our LORD is a gift beyond words. 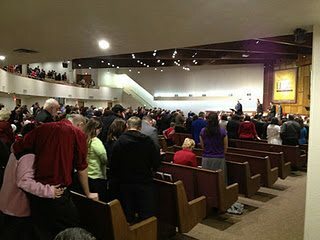 When other churches shut down for the LORD’S birthday LBT throughout her history has always been open to do the LORD’S business. I will never understand as long as I live how a church whose head is the LORD JESUS CHRIST could show such disrespect by closing her doors on HIS BIRTHDAY. Let me get another thing off my chest…I will never understand how everyone will receive gifts but the ONE whose birthday it is? JUST A THOUGHT! LBT had a wonderful day with folks being saved and baptized. The children’s choirs did an excellent job of bringing praise to our LORD.